We started out as floormates at Cal. The first day in our dorm we met in the bathroom, where Whit was trying to clean off the ketchup from her shirt (typical). 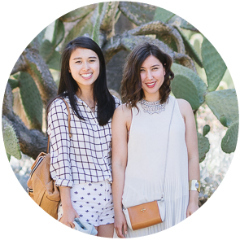 The next year we became roommates and started our blog! We try to dress practically and try to find clothing that flatters our average-proportioned frames. Sometimes we fail. Follow along! both of you look good and stylish! The question will be which girl is more cuter ! LOL! no matter how you dresses up, you still look cute! I like the jacket of the girl of left. That is really cool! You are so cute. I really like you. I went to cal also and am moving to SF this year! 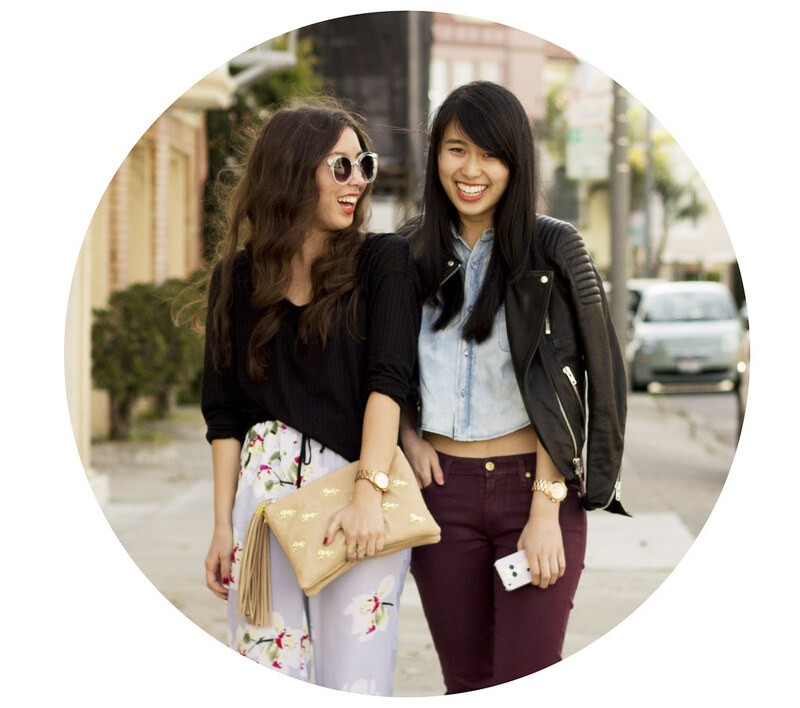 :) Super excited to take pictures around the city and to meet more fashion bloggers there! Great Article!! That is very little nice story. And well, bathroom is not an ideal place to meet with someone.